75. Take I75 to exit 15 (Marco Island Exit). From the exit take Rt. 951 south. Follow Rt. 951 past Rattlesnake Hammock Rd. , the entrance to Lely Resort will be on your right. Follow signs to The Mustang Pro Shop. If you have any problems please call the course at 9417932223. Take I75 to exit 15 in Naples (Marco Island exit). From the exit take Rt. 951 south. Follow Rt. 951 past Rattlesnake Hammock Rd. , the entrance to Lely Resort will be on your right. Follow signs to The Mustang proshop. Take I75 to exit 15 (Marco Island Exit). From the exit take Rt. 951 south. Follow Rt. 951 past Rattlesnake Hammock Rd. and the entrance to Lely Resort will be on your right. Follow signs to The Mustang proshop. Take I75 to exit 15 (Marco Island Exit). From the exit take Rt. 951 south. Follow Rt. 951 past Rattlesnake Hammock Rd. , the entrance to Lely Resort will be on your right. Follow signs to The Mustang proshop. Take Rte 951 (Collier Blvd) south past Rattlesnake Hammock Road to the Lely Resort entrance on your right. Take I75 to exit 101 in Naples (Marco Island exit). From the exit take Rt. 951 south. Follow Rt. 951 past Rattlesnake Hammock Rd. , the entrance to Lely Resort will be on your right. Follow signs to The Mustang proshop. One of 3 great courses at Lely Resort, it holds to Lee Trevino's philosophy of tough but fair. Wide fairways, with plenty of sand and water and large but contoured greens made this a great but fun challenge to play! 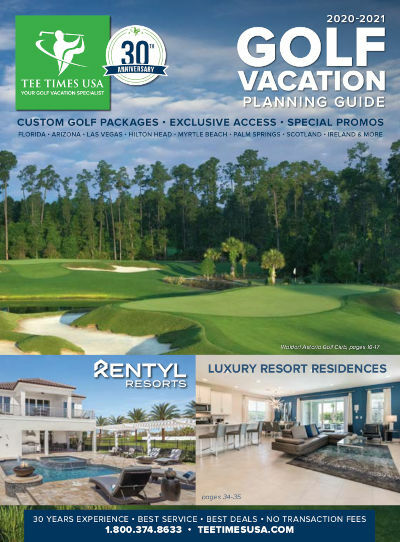 Kudos to the crew at Tee Times USA again for their help in selecting this course ! looking forward to returning . Not an exceptionally eventful or difficult course but in very good shape and worthwhile to play. Loved the Mustang, shot my lowest score ever 81. Started off with an an Eagle on the first hole, greens rolled great. We had a couple of days of bad weather but the staff was very accommodating with getting us out for 36 holes. The courses were in good shape and we will be back next year. Nice course and always in good shape. Not to tough not to easy. Nice layout and very fair. Wide fairways in good condition. Our group really liked Mustang. A fair track with margin for error. Good greens. Mustang/Flamingo combo at Lely is perfect for playing 36 in one day. The Mustang and Flamingo courses at Lely are always a treat for us after playing the very narrow course in our condo community. Both courses were in great shape this December. Good golf course. Staff helpful, very playable, good pace of play. Would recommend a good course for all levels. The Mustang is a must play! The Lely courses were in good shape - staff was very good - and you can score on the courses. Beautiful course.Excellent condition - great personnel. Well worth the money. Really liked this course. Its in great shape - but isforgiving for the errant shooter. Nice clubhouse. Great course. Played it in years previous to this one and enjoy playing it again. Had a wonderful time - great greens - great staff!!! We've played the Lely courses before and always enjoy the experience. Mustang is playable for all skill levels. We enjoyed our round and will be back. Nice course to begin our golf week. Conditions werenot perfect but good. We had good welcome. Great course - specially wonderful greens. Very nice - played same day as Flamingo Island - very convenient for 36 holes. I rate a 4 Star. If you have played Mustang Golf Club, we would like to hear from you. Lee Trevino's philosophy of making the game challenging but fair, even for average golfers, is evident on the masterful Mustang championship course. Designed with a forgiving layout where a player can recover from a bad shot, this course will have you coming back time after time. Twelve lakes decorate the landscape and extensive bunkering is found throughout. However, Trevino designed generous landing areas and fair entries to the greens. With greens newly surfaced in 2013 with Champion Bermudagrass, Mustang truly provides varied and spectacular conditions for players of all skill levels.